Dr Jonathan Whitaker is a dedicated, highly experienced, leading DNA profiling expert providing DNA profile interpretation, advice, consultancy and expert witness services to defence and prosecution criminal justice partners both in the UK and overseas. Whose DNA / body fluid is It? Has the DNA profile been interpreted correctly? Do the DNA profiles match? Has the DNA profile been statistically evaluated? Are the statistical evaluation propositions appropriate in this case? Have any limitations and subjective views been clearly explained? Is there any scientific basis for attributing the DNA to a particular body fluid? How did the DNA / body fluid get there? Have different DNA transfer scenarios been proposed and evaluated (activity level propositions)? Has continutiy and the possibility of inadvertent laboratory or process contamination been assessed? Does the work fully address the relevant issues? Does the report consider both prosecution and defence alternatives? Are the conclusions robust and reliable and reported in the context of the case circumstances? Are the opinions supported by reference to data which has been relied upon? 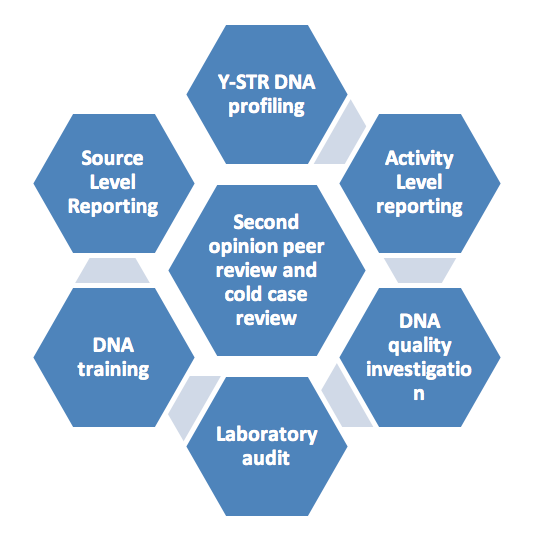 Additionally, as part of the Principal Forensic Services group, Jonathan continually works to improve the quality and standards of DNA profiling processes and strives to improve understanding of the scientific issues to all through effective communication and training. Jonathan, prides himself on delivering a competitively priced (Legal Aid Authority rates apply as appropriate), high quality service and offers free advice on enquiry. Jonathan is a Bachelor of Science (Honours) Genetics and a Doctor of Philosophy in Molecular Genetics. He has been involved in the research, development and implementation of many generations of DNA profiling tests and has extensively interpreted and reported these results as an expert witness in courts of law both in the UK and overseas. 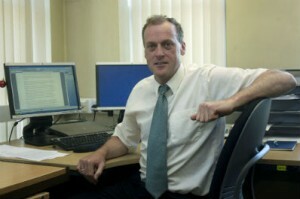 Until 2012 he was a Principal Forensic Scientist for DNA profile interpretation at the Forensic Science Service in the UK. He is a registered forensic practitioner with the Netherlands Register of Court Experts (NRGD) as well as a member of their advisory committee for DNA assessment, a member of The Chartered Society of Forensic Sciences and is affiliated to the STRmix™ statistical training team in New Zealand.